Vilnius International Airport (Tarptautinis Vilniaus oro uostas – VNO) in Vilnius, Lithuania. 1.1 from bus station head to bus stop of Bus #1 and #2 (same stop), that’s first stop. Airport in Lithuanian – Oro uostas. 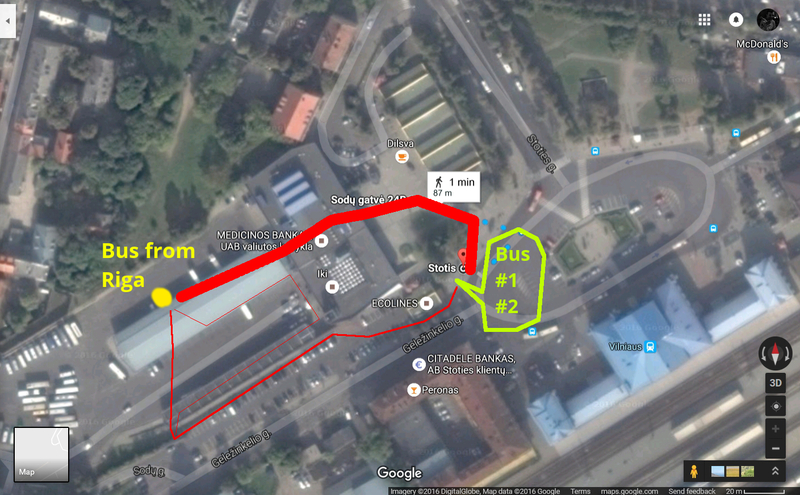 1.2 in the bus, buy ticket from driver (1 EUR), VALIDATE it and wait till last stop – airport. 2.1 get out of the bus and head to entrance. 2.2 There are 2 way how to get in. 2.3 Airport consist of two parts. When you are in second part (building under same roof), you are in correct part of it. 2.5 If everything is OK, head to security check. 2.6 after successful sec.check you will enter hall and display will show which gate to head to to Billund (Gate 14?). 2.8 board plane and relax, after 2 hours You’ll be in Billund, Denmark. 3.1 Meet my smiling face! 3.1.1.1 message me. 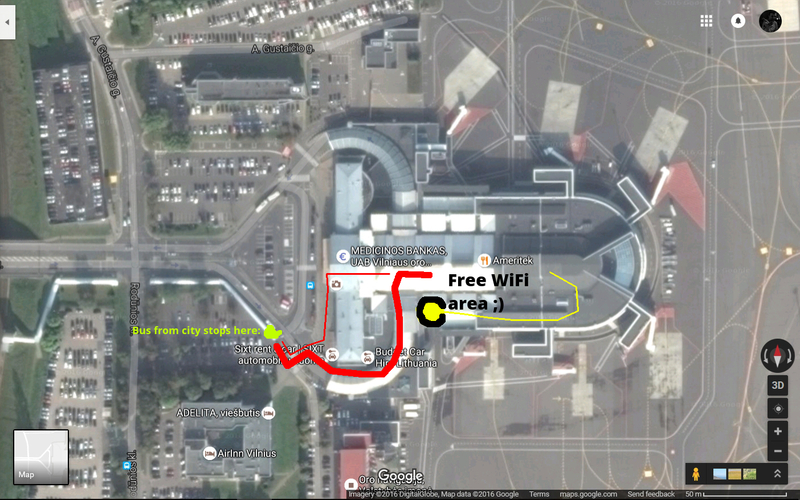 There is FREE WIFI!